It’s been more than 11 months in IIM Kashipur, but feels like a few days gone. Time flew off at the speed probably more than light. Yes, for people who want rigour, you get that here. Having left a job which needed more than 12 hours of daily devotion to work complimented with unplanned travel visits to customers, I thought what more hectic can any B school be. But, IIM Kashipur’s rigour washed off my perception in less than an hour of stepping in the campus. Welcomed with the warm words and helping hands to pick up my bags, very little did I know that I would be bonded for life. Smaller batch size has its own advantages. Special attention by professors, vast amount of opportunity per individual are some of the benefits we have. The best part is everyone knows you and you know everyone. The other day I asked my friend doing an MBA from a different B School to give me the contact number of some committee member for a competition from the same institute. But to my surprise my friend wasn’t aware of any such person. Nor was the person aware of my friend. I wondered why was it so because in IIM Kashipur we have the cell phone numbers of the entire senior and junior batch on the tip of our tongue. How?? That’s a secret you can come and find out. Not only do we know each other, but we also know what everyone is doing or not doing. To give an example, our entire batch of 123 students worked together on an idea (by our Professor) trying to commercialise it. It involved working from Marketing, content development, website preparation, digital marketing, operational aspect catering to delivery of product, managing the people working in the team and the most important handling finances. So we developed an entire business model for – “Scent Machao”. Such dynamic is the culture that the faculty constantly finds out new ways to help students learn better, understand better and be prepared for the life outside the B school. Academic curriculum, hunger to learn and constant motivation by professors automatically become a part of your life. You wake up in the morning and wonder how would the entire day go. The moment you go to the classes, you remember looking at your watch at – 9:00 am, 10:45 am, 1:45 pm, 3:30 pm and whoop, it’s 5:30 in the evening (lecture timings). Before you think of evening snacks, you remember you have a series of other academic activities already waiting for your attendance in less than an hour – Green MBA Courses: Green Marketing, Sustainable Finance, Green Economics courses provided by the Institute for the interested students in collaboration with the World Bank. This course is first of its kind offered in India. It is taught by some of the best professors of the country. All tired throughout the day, still the professors are there, standing by the podium, 20 minutes before the class time, with 100% enthusiasm and excitement waiting to unveil discussions and twist the way we think. We laugh, we think, we question and at the end the professors make us think in a way that we get back to our rooms and read more, discuss more with friends to cool down our curiosity and to our wonder we wait for another 24 hours for the Green MBA lecture to make us more curious again. Thus, one becomes a part of this learning curve and realise that there are hell lot of things one doesn’t know. This hunger to read more puts you into yet another academic loop. A lot of us are Bloomberg champions who have earned a Bloomberg certificate. IIM Kashipur has 11 Bloomberg terminals, where we get the most accurate and exhaustive data regarding companies and markets. We realised how important the Bloomberg and Library access is, only after we started our summer internship and requested the Institute to give us the access. Within a day of our request, we had our access mails lying in our Inbox. The Institute has brownies for everyone who is willing to learn more, be it Marketing, Finance, Operations, etc. Most operations profiles in the world use principles of Lean or TQM, Six Sigma or any process improvement methodology. So, opening the operations basket- located in the Rudrapur industrial belt with Auto giants like Ashok Leyland, Tata Motors located at an hours distance, the Lean Cell along with the Operations and Supply Chain Club of IIM Kashipur helps students not only get the Six sigma certifications, but also gets hands on experience by working on live projects in these industries. Professors not only teach the methodology but also motivate us to use six sigma on our personal life for further improvement. Not only this, we have live academic projects from variety of domains- be in Finance, Marketing, HR, Business development, Operations or General Management. So, now when I look back at the day a year back when I thought it will be easy but no, the Institute has a lot many things to offer apart from the regular curriculum (presentations, case studies, quizzes, term exams, individual assignments, group assignments, simulation challenges and a lot more). I am so happy and at the same time proud to have gained knowledge from diverse sectors and the most important thing- to have inculcated the habit of self learning in me. This is what I feel I always wanted. Eagerly waiting to get back to the Institute and start the next academic year. 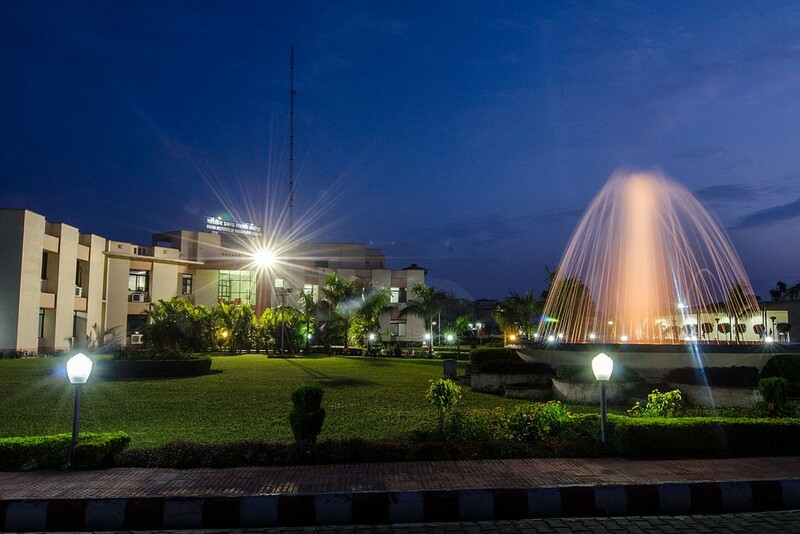 Read more about IIM Kashipur here.